We are going to do an "Axis vs Hikvision High-End Camera Shootout". This is timely because of the rise in Chinese manufacturers and the questions about whether they can compete at the high end. Last year, we did a Hikvision high end test against Avigilon, Bosch, Panasonic, Samsung and Sony but did not include Axis. Axis will get to pick their 'best' camera. Hikvision will get to pick their 'best' camera. A dome for each would be most appropriate as those are the most common form factor purchased. We will buy whatever those cameras are. Each manufacturer will be allowed to pick 5 testing scenarios / features that best represents their unique strengths. For example, Axis might want a scene that emphasizes P-Iris or add on analytics, etc. Those scenarios will be added to our standard daytime / low light / IR / WDR / bandwidth, etc. tests. Each manufacturer will be invited to send a representative to our Pennsylvania office to setup / review the test results. Timeline: The test will be done in late March for a release prior to ISC West 2015. Let us know what you would like to see in this test. As a former employee of one of these companies, I am soooo looking forward to this. We were always told we had the best cameras on the market, so I want to see if (in this case) it is true. Can I ask why you decided to leave Hikvision? Have you ever worked for the Chinese? John...sounds great. I suggest you also include those other brands that were included on the earlier test, just to see how they perform, as well. B, we definitely do lots of shootouts. We did one yesterday. We are doing another this Monday (4K: Dahua vs Axis and Bosch). This proposed one here is just going to be Axis and Hikvision but we certainly can do other combos. Feel free to suggest. I amlooking forward with interest to this shoot-out . I also would like to se more of the high-end brands involved. Well, that would be admitting defeat in the mid-market then, so I am guessing they won't. Axis wins all day long, against anyone on almost anything, when it comes to speciality cameras. It's the other 80% where the legit question remains. Although, I was mostly kidding about the 6000-e, what makes you think that their camera of choice is going to be a mid-market model? Each manufacturer will be allowed to pick 5 testing scenarios / features that best represents their unique strengths. For example, Axis might want a scene that emphasizes P-Iris or add on analytics, etc. You challenged them to a "High-End" shootout and told them to pick their "Best Camera". Who could blame them for bringing the best they have? So to clarify, a fixed dome camera. The 'best' of that. Great idea, but from my experience many manufacturers will not show up if you invite them to test and verify the test results because if they showed up then it will look like they are admitting their product is worse than the other manufacturers. Therefore, most likely only one party (if any) will show up in the test. That's understandable. They don't need to come. I was making a point because an Axis employee was insinuating they we were biased. I don't want any excuses. I want them to have every chance to provide feedback, object, etc. before releasing the results. I have had them in the past. I have not had one that turned us down. If you want to make it really interesting, announce the companies invited. We will see who opts out and who is a no-show. They of course can be afforded an opportunity to tell the members why. IMHO, the early favorite is HIK. 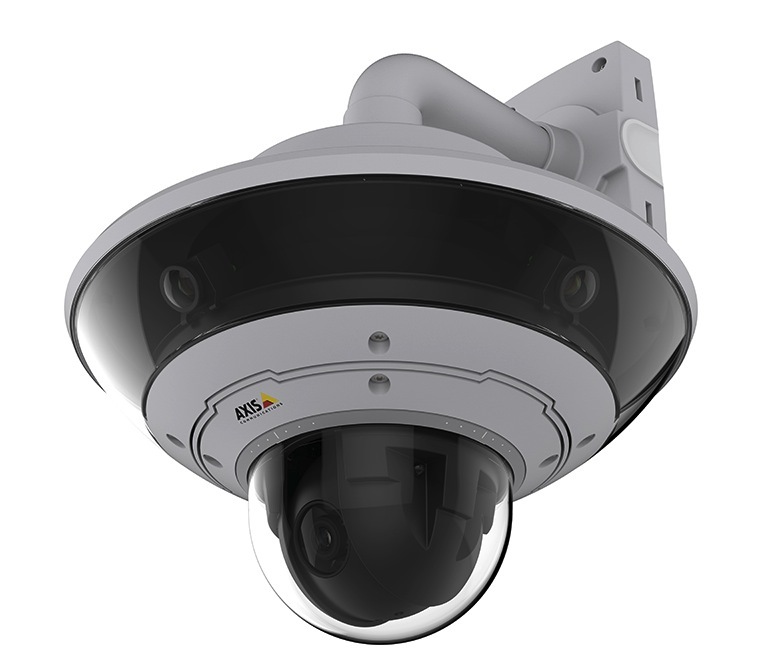 For the simple reason that they have a 5MP dome with integrated IR. Or using one of their IR models, where there highest resolution is 1.3MP! Interestingly, the Axis choices are more expensive, but not by much. Maybe they have a new model not in the finder yet? We have a new 6MP dome that will be offered for the shootout. It is not in the camera finder at this time as full releasse is April timeframe. Bob, we are not going to test a camera that is not in production. We never do that because it will either (1) be better than other cameras in production but not released (which is unfair to other manufacturers) or (2) have problems because there are still bugs. Either way, it is not fair. 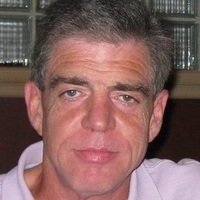 John- The cameras we will select are all in production. I have stock of the 6MP bullet camera now. I am looking at the delivery date of the dome which is requested for the test. Frankly, rather than read about your newest camera offering, I would rather the factory address the security flaw outlined on IPVM. One of the reasons I carry HID credentials exclusively is because they stand so firmly behind their product. Approximately 8 years ago they sold thousand of readers that had a flaw in their design. They would just "go to sleep" for no reason. When I contacted them, they had already assigned a project manager to get the effected readers out of the field. Did they manage the problem, yes. But they never dodged it or ignored it. If Hikvision wants to be a true leader in the industry, here is your opportunity to do so. Don't tell us, show us. I would rather the factory address the security flaw outlined on IPVM. I thought that only applied to their DVR's, not cameras? You are correct. I will go and ask the question there. John, can you put Dahua's high end camera in the list? We are testing Dahua's brand new 4K camera vs Axis and Bosch on Monday. Beyond that, we'll continue to test other combinations of Dahua and other prominent manufacturers. I understand it is a shoot-out, but is there any way to include information on how the cameras function in addition to image quality? I would be curious to see how they deal with temperature and condensation. I think it would be interesting to test their vandal rating as well. Thanks! The question is if Hikvision can compete at the high end, but the comparison of "best" vs "best" may not be well suited to anwer that.  The real world senario is that someone has a list of Axis cameras and they want to know what the approximately equivalent Hikvision cameras are and if the quality and performance are at least on par. With the various models available that excell in different areas, identifying the "best" camera depends on the application. We could get more out of this if they are allowed to choose different cameras for different applications. The test is going to be on fixed domes. How much variance is there among the 'best' fixed domes that either offer? They can certainly choose different cameras but there's only so many differentiating features among fixed domes, the most common choice in the market. 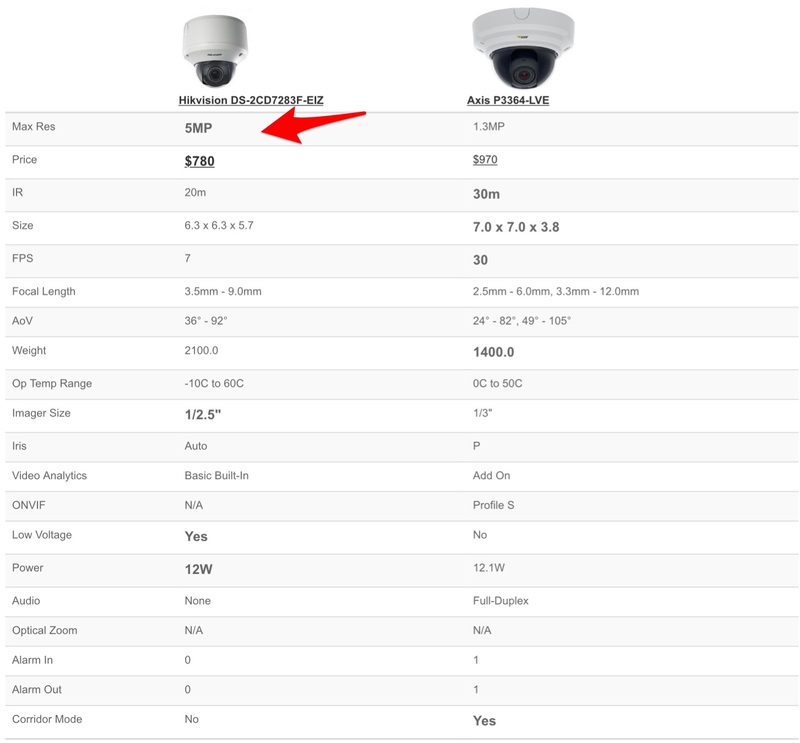 Perhaps it should be called "Axis Vs Hikvision High-End Fixed Dome Camera Shootout". 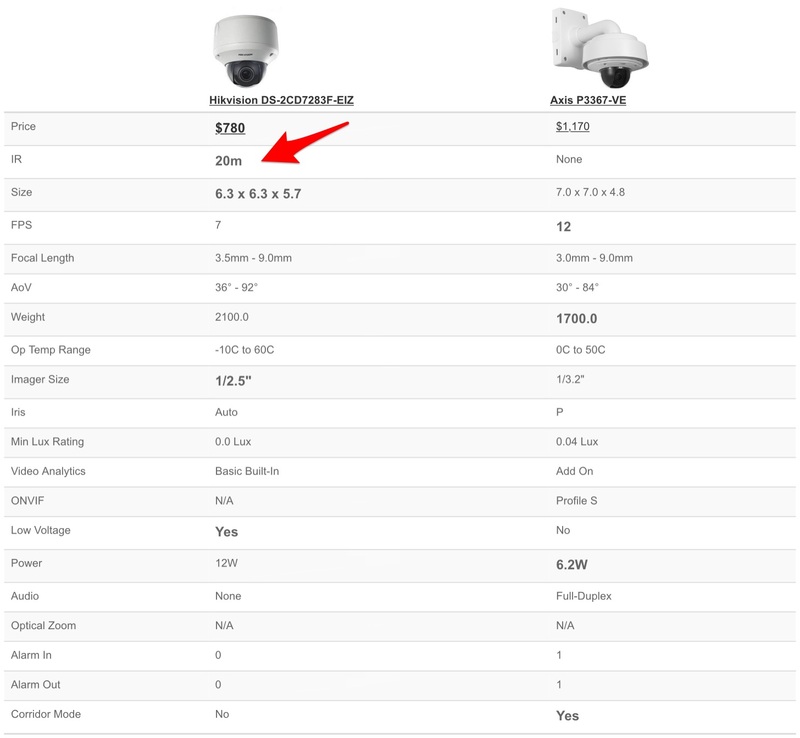 As for differences among the best Hikvision fixed domes, there is a 2MP that has 140dB WDR or 60 fps. If you go with the 3MP you get 120dB and 20 fps @ 2048*1536. There are also the focal options of 2.8-12mm or 8-32mm. If it wasn't limited to fixed domes, then there would be other cameras that excell with resolution, IR and color in low light. Perhaps adding MTFB figures should also be included in the comparison? How would we be able to do? How would anyone be able to do that accurately short of letting hundreds of cameras run for multiple years? I think reliability is important, I just have no idea how to accurately measure that in any short amount of time. MTFB statements are available from Axis, some are available from Hikvision based around the IR LEDs. But what are we supposed to do? Ask them to both give MTBF statements and simply decide on who is better? How are we not in the lux rating impossible situation with that? Has Axis expressed any interest in the match, since Alberto's assurance? If Axis does not choose a camera, will there be a shootout? Axis has followed up with their questions. There will be a shootout either way. We'd most likely go with the Q35 (WDR 1080p) and the P3367 (5MP) if they don't suggest otherwise.